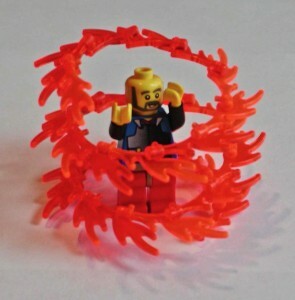 You are currently browsing the archive for the EdgeOfArt category. A Still Water project by Jon Ippolito aimed at linking thematically similar academic essays across the Web has been awarded an initial grant of $10,000 by the Thoma Foundation. Founding philanthropists Carl and Marilynn Thoma also hosted a presentation at New York’s School of Visual Arts last December to honor the inaugural recipients of the Digital Arts Writing prize, independent writer Joanne McNeil and Ippolito, who co-directs UMaine’s Still Water lab. 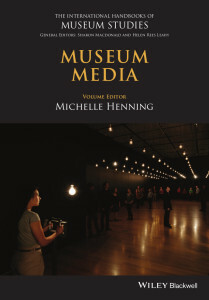 Drawing on the forthcoming book New Media and Social Memory co-authored with Richard Rinehart, Jon Ippolito speaks on “Wind, Rain, and Ambient Preservation” at ISEA 2011 in Istanbul. Waterfall Arts presents Still Water Co-Director Joline Blais talking about her work in ecology, the New Commons, and cross-cultural networking on Monday 26 April at 7pm. 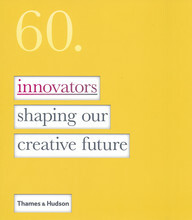 Still Water is pleased to announce the publication of 60: Innovators Shaping Our Creative Future, a landmark book on the occasion of the 60th anniversary of renowned art and design publishing house Thames & Hudson. Still Water co-directors Joline Blais and Jon Ippolito penned the new media section of this book, which profiles five of the most innovative creators on the planet today. These visionaries take the lessons learned from experiments in online communities and apply them to real-world problems, whether making cities sustainable, holding corporations accountable, or re-imagining laws that govern the flow of information. Included among these innovators are Maine’s own Miigam’agan and gkisedtanamoogk, Wabanaki elders who are building bridges between their ancestors’ lifeways and the 21st century. “A collection of incredible, truly inspiring work from all over the world.” — The Design Files. A new University of Maine class in Life Art (NMD430/520) explores the boundaries of artistic collaboration by encouraging students to co-create with entire ecosystems of humans and other critters. Crowd-source their artmaking with 10,000 earthworms. Get frogs to do their drawings for/with them. Create sculpture ‘for the birds’ so they can survive destroyed migratory paths across continents. Clone cruelty-free meat via the latest gene manipulation. Get Michelle Obama to “perform” their art piece. 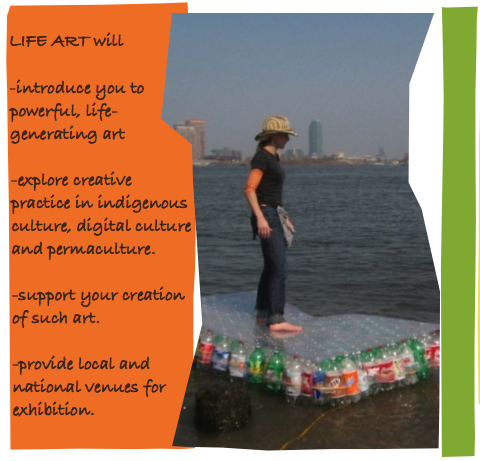 Plan an art opening with full course cross-species meals (eg for human and geese). Student projects may draw from indigenous culture, digital culture, and/or permaculture, and will be featured in an exhibition at the end of the term. The course takes place at the Hutchinson Center in Belfast, Maine and is organized by Joline Blais in collaboration with Waterfall Arts and Unity College. This New Media class is open to graduate students, qualified undergraduates, and members of the community. For more information, contact Joline Blais. “Future Now”: can artists influence the future? From 24-26 September 2009, Espacio Enter brought artists, performers, technologists, and theorists to Tenerife, one of the Canary Islands off the coast of Africa. Organized by Montse Arbelo and Joseba Franco, directors and founders of ART TECH MEDIA, the conference explored possible scenarios for the future of creativity and new media over the next few decades, and gathered a diverse ensemble of presenters representing art, industry, and particle physics. The cultural preconditions for sharing culture, energy, and emotion were a recurrent topic among presenters at Espacio Enter’s “Future Now” symposium, who hailed from Japan, Australia, and other Asian locales as well as Europe and the US. Eyebeam director Amanda McDonald-Crowley surveyed her institution’s many creative approaches to sustainability. Korean puppeteer Semi Ryu used a digital interface to inject reciprocality into the relationship between puppets and their “masters.” Transmediale curator Ela Kagel described her research on hybrid economies, and wondered aloud what a business run according to artistic principles might look like. Drawing on themes from At the Edge of Art and the forthcoming book The Innovators, Joline Blais and Jon Ippolito presented “New Media Join the Rest of the World,” a look at creators who are taking the lessons learned in building online communities and re-applying them back in the real world. While Blais and Ippolito stressed the way networks can level the playing field compared to the hierarchies of broadcast media, Gunalan Nadarajan pointed out that the very inequalities of networks such as the electrical grid can become artistic fodder in the hands of artists such as Ashok Sukumaran, who invites street vendors in Bombay to share electricity with local apartment owners. Blais in turn argued that the ethic of networks is one of connection rather than detachment, and that the simple act of listening to the natural world can be revolutionary in the face of the increasing mediation of technology and consumer culture. 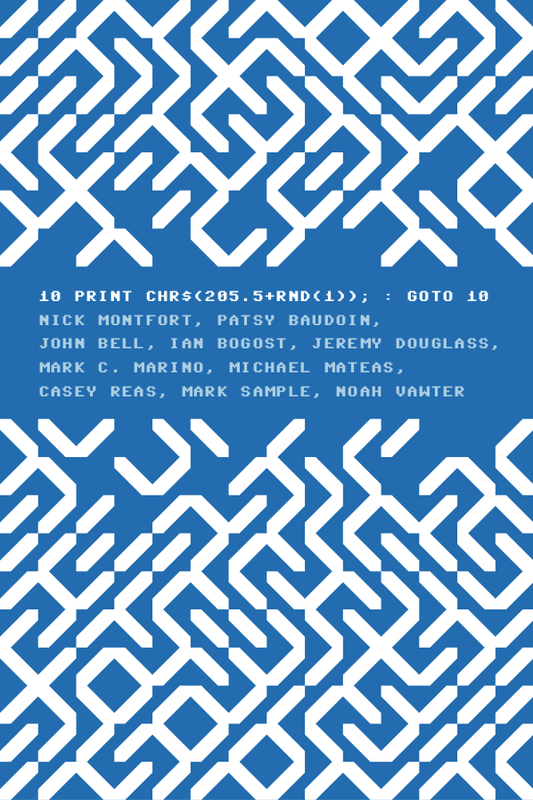 She demo’d the project Request For Ceremony, a set of community-created protocols for reconnecting with nature modeled on the famous Request for Comments (RFCs) that galvanized designers of the early Internet. All in all, the discussion reinforced the importance of distinguishing between the technical and social definitions of shared networks.